Striker Luis Suarez says that he will stay at the club next season whether Liverpool qualifies for the Champions League or not. Suarez has scored 24 Premier League goals for the current Barclay’s premier league campaign with his latest coming in the 3-0 win over Southampton which helped the Reds move into second place in the table. The Uruguayan international who recently committed his long term future with the reds claims he is enjoying his best season since arriving at Anfield from Ajax in January 2011. With Liverpool currently second in the table, six points ahead of fifth-place Tottenham, there is every chance Suarez could achieve his ambition of getting Liverpool back in the top four. There is no doubt that the likes of Real Madrid and Bayern Munich will come knocking at Liverpool’s door for Suarez once the season ends.Do you think the Reds will be able to keep hold of Suarez if they miss on top four once again? 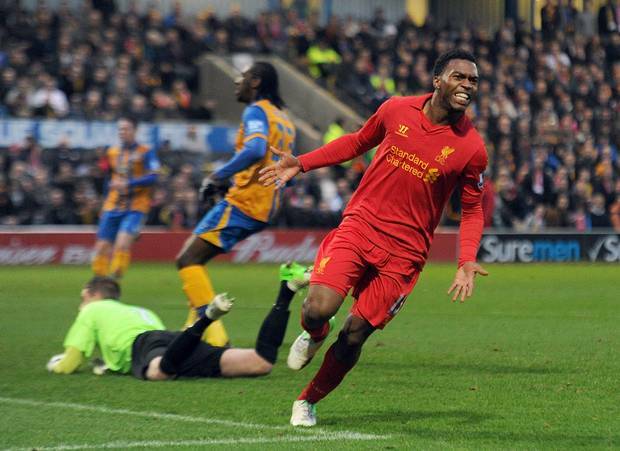 New Reds signing Daniel Sturridge has said he will continue to get better, following his debut goal in the FA Cup win at Mansfield. 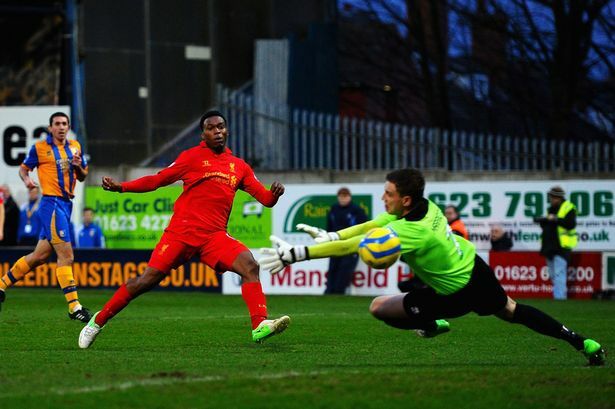 Sturridge, who hasn’t played a senior game since November, took just seven minutes for his debut against Mansfield to open his account for the Reds. How did everyone rate his opening performance? Do you think Sturridge, Suarez and Sterling can form a lethal partnership upfront? Does Liverpool need strengthening? Of course it does. But Luis Suarez is doing a good job of trying to hide this fact. That second goal should have never been but Suarez had one thing in mind. He got bumped off by Carlos Cuellar, regained his balance, and then as the defender collapsed in a heap corralled the ball and put the burners on. 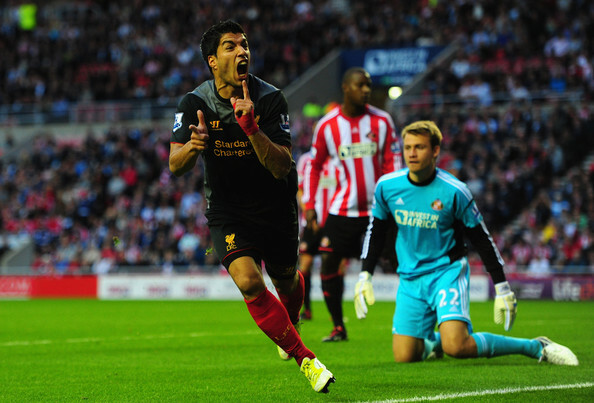 The Uruguayan came at Simone Mignolet from an angle and finished off with superb placement. Last season Suarez seemed to struggle, missing an awful lot of good opportunities, but this season it seems harder for him to miss at the moment. Liverpool climb to eighth and they could go a lot higher if they can continue this form.